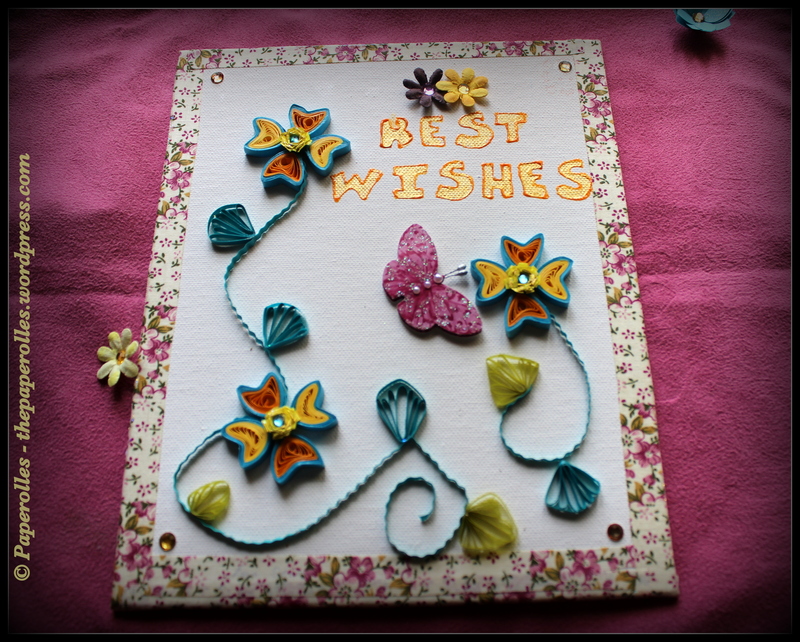 Handmade cards or posters be it simple or grand speak our heart. When someone invites us for a special family occasion, I feel that personalized handmade creations will be better appreciated than the fancy gifts that we buy. I made this poster for my friend as a house warming gift. 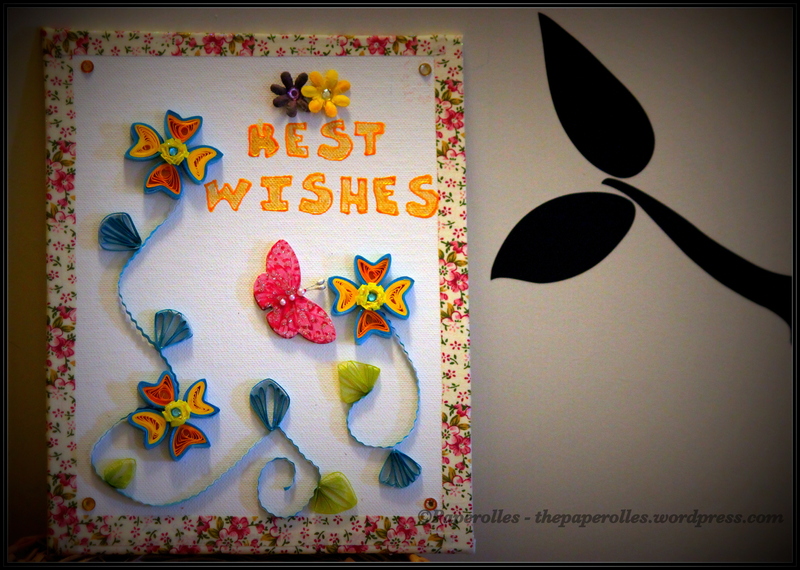 This was created on a canvas board with quilled flowers and leaves and a cloth-made flower border.